Julep has just announced one of their best beauty box offers yet! 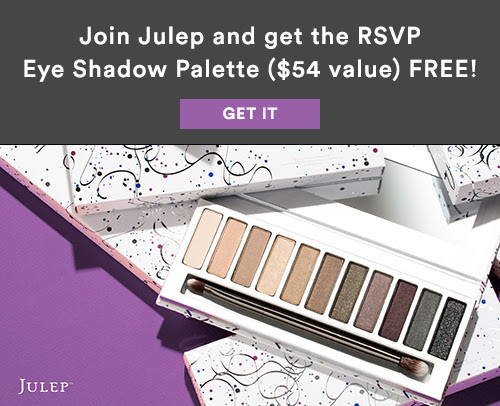 For a limited time, you’ll get a Free Eye Shadow Gift with Subscription ($54 value) when you join Julep beauty box. 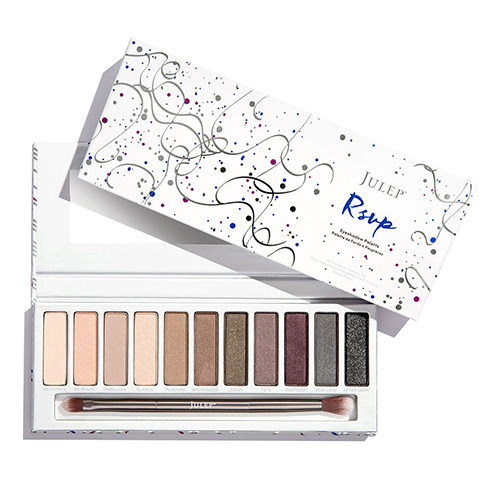 This eye palette is one of Julep’s most popular beauty products, is a best-seller on QVC and normally retails for $54, which makes this a fantastic deal. To get your free gift, choose either a 1-month or 3-month Julep subscription and use code GIFTEYES at checkout. Julep offers the only customizable box of full-size, limited-run nail colors and beauty innovations. That means no surprises, no dupes or colors you don't like. You can see what is in your box each month and have the option of swapping out colors/products you already have or don't want. Julep subscribers get perks galore - like 20% off all single product purchases, free shipping, and early access to secret sales. If you are passionate about your polish, that adds up to some amazing savings! Free Eye Shadow Gift with Subscription ($54 value)! Use promo code GIFTEYES to get your free gift when you join Julep beauty box.